To grow your business you need to increase its visibility to not only get in front of potential customers but also stand out from your competition. There are many ways to do this, both online and offline. The most common (and easiest) method is to use search engine optimisation. Search engines, such as Google and Bing, use formulas to answer search requests made by their users. They sort through thousands of results and determine which result best answers that query. Search engine optimisation (also known as SEO) is a way of optimising a website to align with the search engine formulas. The purpose of SEO is to tell the search engines that your website or web page is relevant to specific queries so that you will rank well in their results. Well, the main reason to practice SEO is to help your website rank higher in search engine results. This will improve your website’s visibility and help your business to generate more online traffic, get more leads and ultimately grow. Plus, a bonus of SEO is that it is absolutely free. 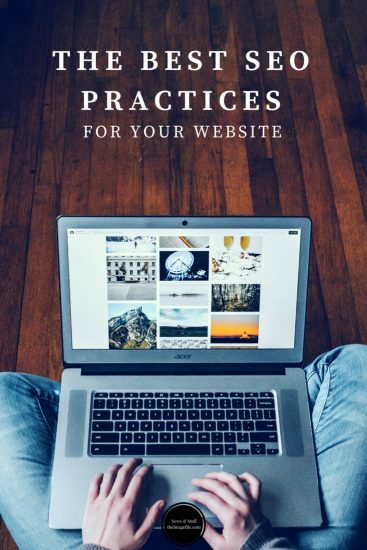 Yes, it takes some time and effort but if you put these practices into action you can achieve great SEO without spending a penny! To get the search engines to work for your business you need to use a number of SEO practices. Some of them are visible to your website visitors whereas others are only visible to you and the search engines. Some of the following practices are quick and easy to implement, you could do them over a morning whereas others are more long-term but still very much worth the effort. On-page search engine optimisation practices can be implemented on your website yourself. Keywords are words and phrases used by search engines to display relevant results to their visitors. Therefore it is crucial to include keywords on your website that are related to your business and location so that search engines can find and show your website to the people who are looking for similar products and services. You really want to avoid using the same content across multiple pages on your website as this will not only create a poor user experience but also cause the pages to compete with each other for search engine rankings. Instead, it would be more beneficial to create a separate page for each major product or service you offer, for example, you might have a separate page for wedding photography and newborn photography. Search engines aim to provide the most relevant, current and up to date information to their users. Therefore it’s important that you keep updating your web pages on a regular basis so that search engines keep coming back. With all website pages, you should be filling in metadata descriptions, title tags and a browser title. Your meta description is important as this area is the snippet of information that briefly describes your page to a visitor in the list of search results. Equally, your browser title should have some serious consideration. This appears in the tab section at the very top of the web page and should include some information about the viewed page e.g. “wedding photography packages” as well as some general keywords for your business e.g. your location, speciality and the word “photography” or “photographer” if appropriate. Off page SEO still involves your website but it is conducted off-site and therefore is a little more complex. We have written a more detailed guide to off-site SEO in the past which you can read here. Backlinks are links to your website that appear on other people’s websites and therefore give your business more professional standing and legitimacy. These are really great for your SEO as search engines consider backlinks endorsements for your business. If your website is hosted on theimagefile then you automatically have an SSL certificate already. An SSL certificate is basically a way of ensuring that your website is protected and trusted. This is really important to Google and other search engines as they, obviously, want to send their visitors to safe websites and therefore, give SSL certified websites priority. You can tell if a website has an SSL certificate as the website will display https:// rather than http://. Search engines like websites that are trustworthy and therefore the longer your site has been around and providing useful information to your visitors the better. Also, you must remember that SEO doesn’t happen overnight and that you must be patient. It will take time to build up a chunk of high-quality content and for search engines to re-index your site when you’ve updated something.